Have Some Fun With These New Sunglasses! 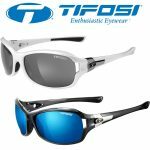 Brand New Tifosi Hagen Ladies' Sunglasses. 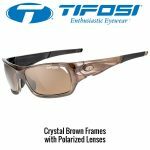 When you’ve got your sights set on an epic afternoon of fun, protect your eyes from the suns harsh glare with the Tifosi line of Hagen sunglasses. 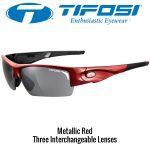 Tifosi Hagen sunglasses are made of Grilamid TR-90, a homopolyamide nylon characterized by an extremely high alternative bending strength, low-density, and high-resistance to chemical and UV damage. Enjoy 100% UVA & UVB Protection. 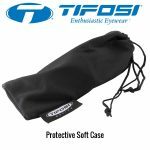 Includes hard protective case and soft protective pouch with draw string.